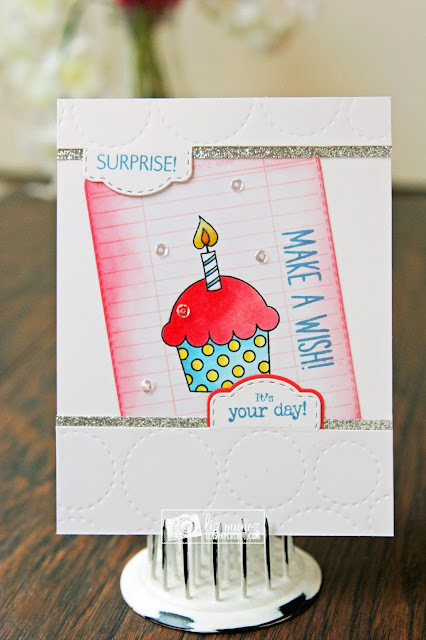 Liz's Paper Loft: MCT December Release Sneak Peek Day 1 ~ make a wish! MCT December Release Sneak Peek Day 1 ~ make a wish! Happy Monday it's December Release Week Sneak Peek over at My Creative Time! Today is Day 1 and I get to share with you Mini Tag Dies 2. These dies are perfect for small sentiments! For my card I used the dies to create "tabs" (I didn't cut the whole tag out). I like to show many ways to use dies, but I also don't want to confuse you as to what they actually do. OMG Miss Liz What a Super Sweet Card. I'm in awe how you used today's Sneaky Peek....WOWZERS!! Talk about being Super Clever!! You had a vision and it turned out Spectacular. Love all the creative ways you've used Miss Emma's Goodies. Definitely a Super Outstanding Creative Job!! I love how you partially die cut these. What a fun card!!! Fab card! 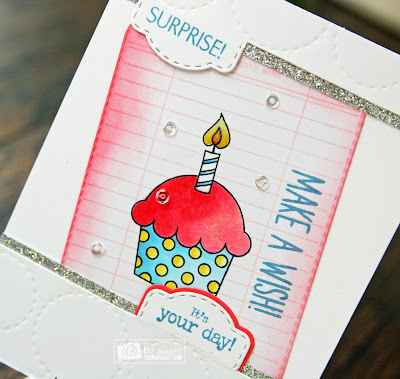 I LOVE the stitched embossed background and the way you used the adorable tag die! Love, love, love your idea!!!! didn't think much of the tags til I saw your idea!!! Excellent!!! !so pretty!!! I love the way you used the mini tag dies on this sweet card! Very fun! 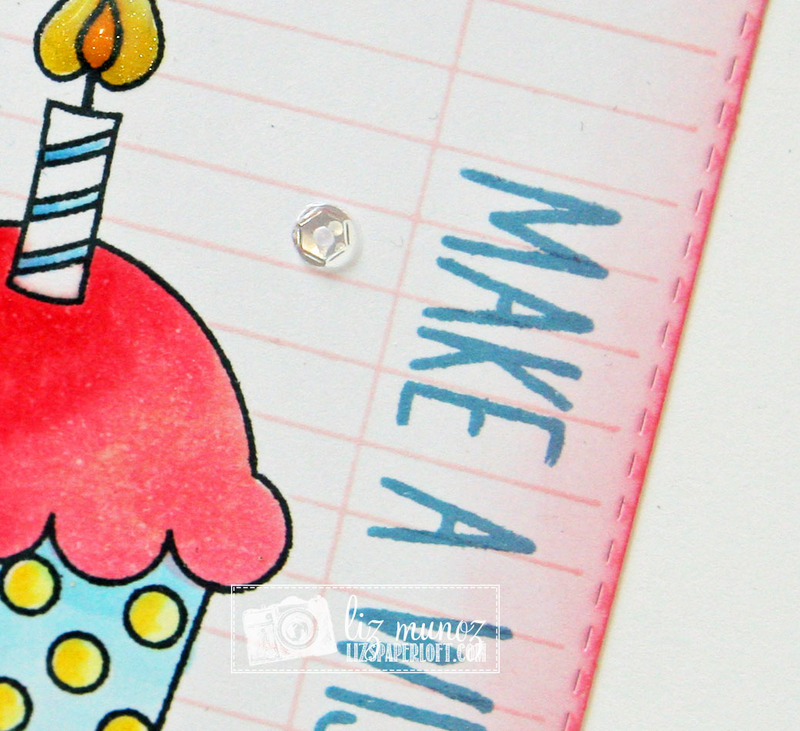 Cute card topped with fun details! What a great way to use Emma's new dies!! Very cute! Very cute birthday card! I love how you incorporated the new tags! I love how your focal point is so colorful and how you did the tabs. I like the tilt sliver of glitter and the stitched circles! Beautiful card! Cute and sweet. I like how you made tags. Great card. Love how you used the tags. Fabulous how you used those tags! MCT December Release Blog Hop ~ happy birthday! MCT Trending Now: Let It Snow ~ joy! MCT 5 Days of Christmas ~ reindeer! MCT 5 Days of Christmas ~ a gift for you!